How do I update the firmware in my Neo Series pedal? Neo Series Firmware Update Procedure - read this first! How do I save and restore my Neo Series Presets to my computer? Where can I find the manuals, firmware, and factory presets for my Neo Series pedal? - fix an issue with USB MIDI on Windows systems. - update to new version notification system. No other changes. v1.05a adds more delay time to Freq Mode and improves bypass switching time. v1.04a adds support for the NEO FOOTSWITCH and allows hyperspeed playback in Stretch Mode. v1.05 adds support for the NEO FOOTSWITCH. v1.05h corrects an issue with the Neo Footswitch LED behaviour, rolls off feedback during AutoTrails to prevent oscillation in bypass mode. v1.05 fixes an issue with saving tempo in dotted-8th or 8th note settings. - update to new version notification system - LED blinks to show version number. No other changes. - update to new version notification system - LED blinks to show version number. - presets load with current expression pedal value, instead of "heel down"
- changed Random LFO to be more random! Neo Preset Worksheet - handy for documenting your presets without using MIDI. Doubles as a colouring page. v1.01f - fixed issue with loading and saving presets with non-quarter divisions. Are your pedals analog or digital? All of our delay, reverb, and modulation pedals are digital, using a 24-bit DSP architecture. 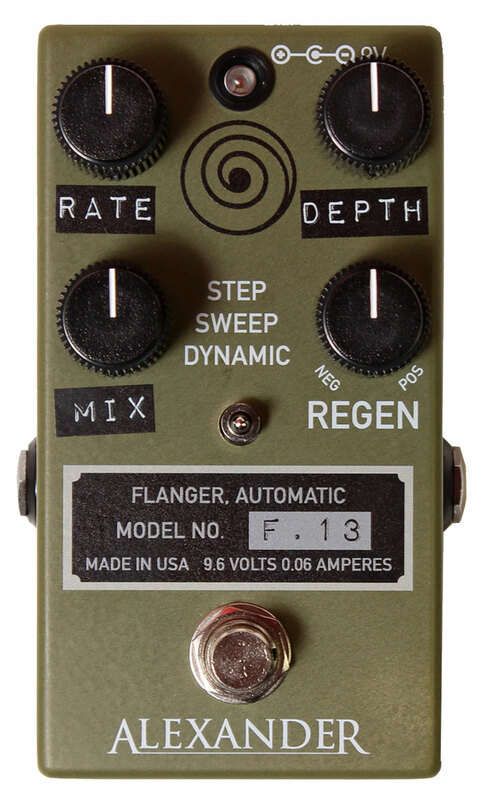 All of our drive pedals are analog except Defender. Future products may be analog or digital, depending on the effect desired. Are your pedals true bypass? Most of our pedals are buffered-bypass using a soft-touch footswitch and a solid-state relay. Our time-based effects (those in the Reverb and Delay categories) feature "trails" bypass. Don't worry, we have a great buffer and your signal is safe with us! 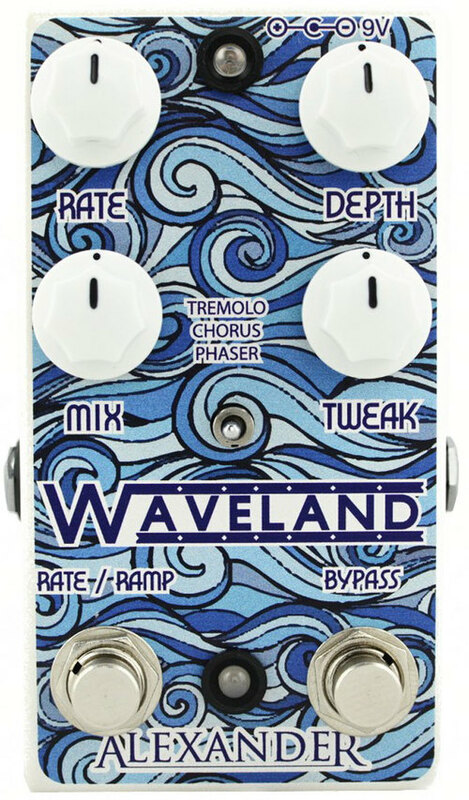 Analog pedals including the Jubilee and Clang family are true-bypass using a gold-contact telecom quality and are more durable than any mechanical switch. Do your pedals have analog dry through? All of our time-based effects such as reverb and delay use the analog signal for the dry path. Most of our modulation effects use a digital dry path, in order to maintain the signal phase relationship between wet and dry effects. It's the only way to get the super-deep modulation we're known for! ALL of our pedals use analog signals when in bypass, we never convert your signal to digital unless we really need to! My pedal is cutting off the signal in bypass! Help! Older versions of our time-based effects (Reverb and Delay) may leave the Mix knob active when bypassed in "trails" mode. If you plan to use the pedal in "full wet" mode, we recommend you disable trails and run in "hard bypass" mode. To disable trails and deactivate the mix knob in bypass, just hold the footswitch at power-on. The LED will blink twice if you're in "hard" bypass mode, or five times if you're in "trails" mode. The pedal remembers your preference until you change it again. Newer versions of these pedals set the dry level at full volume when bypassed, but leave the mix knob active for the effect signal only. My Sky-Fi doesn't delay! Or my Sky-Fi has TOO much delay! Or it's acting weird! The delay section of the Sky-Fi has some quirks, but we can help you get it under control. A lot of the issues we hear about are caused by setting Delay and Repeat fully counter-clockwise. That will basically get you a super-short delay with lot of dark repeats and then the pedal kind of farts out. Hold down the foot switch and turn the Reverb knob to control the delay volume. Start with the Repeat knob at its midpoint. Adjust it counter-clockwise for dark repeats, or clockwise for bright repeats. If you want reverb and no delay, set Delay and Repeat to midpoint, then hold down the footswitch and turn Reverb all the way counter-clockwise. If you want delay and no reverb, set Delay and Repeat to anywhere you like, then hold down the footswitch and turn Reverb up. Then release the footswitch and turn Reverb down. Do your pedals run on 12V? 18V? How much current (mA) do they need? 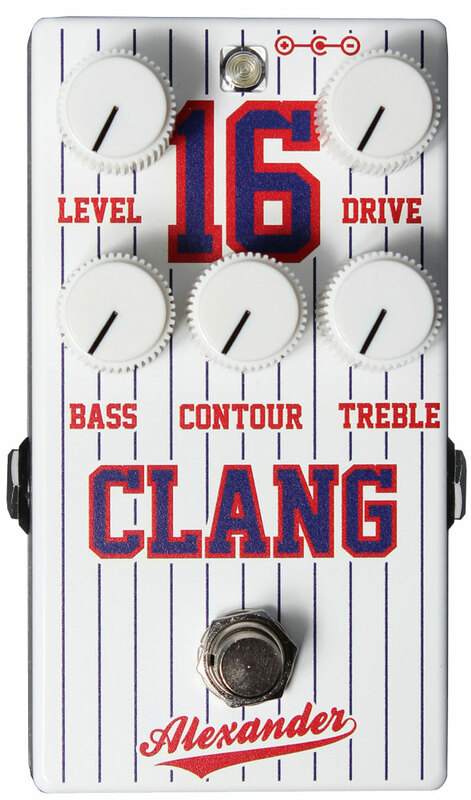 Jubilee, Hot Pink, Princess Clang, Clang Championship Edition, and Royal Cream will run on any supply from 9V up to 18V. Higher voltages result in increased headroom. These pedals require 30mA or less. Litho Boost and X-Ray run on 9V only, and require 30mA or less. 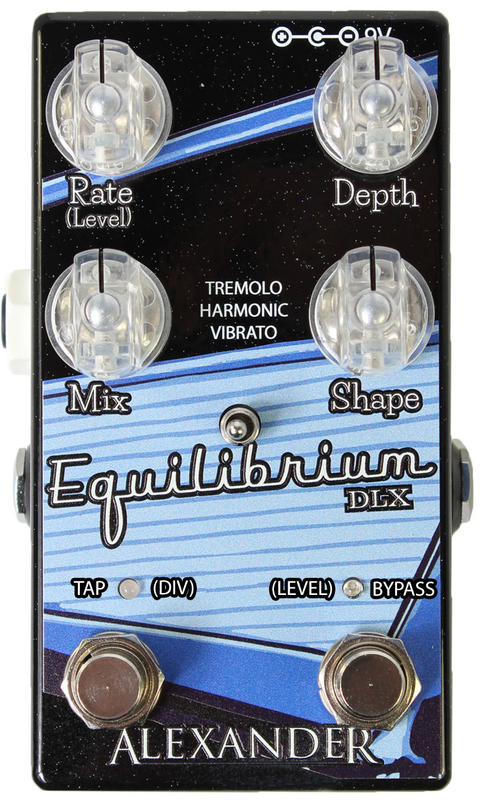 Our Standard and Deluxe series pedals should run on 9V only, and require ~60mA. Neo Series pedals should run on 9V only, and require ~80mA during normal use. They may draw close to 100mA at startup. Super Series pedals should run on 9V only, and require ~125mA. What is MIDI, and why do some of your pedals have it? MIDI stands for Musical Instrument Digital Interface, and is a way for musical gear to communicate. Our Super Series and Neo Series have MIDI capabilities, which allow the user to access presets, control the bypass remotely, and set the expression pedal value. Some of our pedals may have more extensive MIDI capabilities depending on the pedal. How can I hook up my Neo Series pedal to MIDI? There's no MIDI jack! The Neo Series pedals use a 1/4" jack to receive MIDI, similar to the pedals from Empress, Chase Bliss, and Meris. You can use a MIDI controller with a 1/4" output such as the Disaster Area Gen3 series, or you can use our Neo Link converter to connect them to a standard MIDI controller with 5-pin output. You can also use a converter box like the Disaster Area / Chase Bliss MIDIBox. If you're using the MIDIBox, you'll need to make sure that its jumpers are set to "EMP" or "TIP ACTIVE" on any control ports you wish to use with your Neo Series pedal. Where can I buy these pedals? Check with any of our great dealers first. Click on the DEALERS button above for a list. If you'd prefer to buy direct, please click on the SHOP button above to go directly to our online store. We ship all over the world. 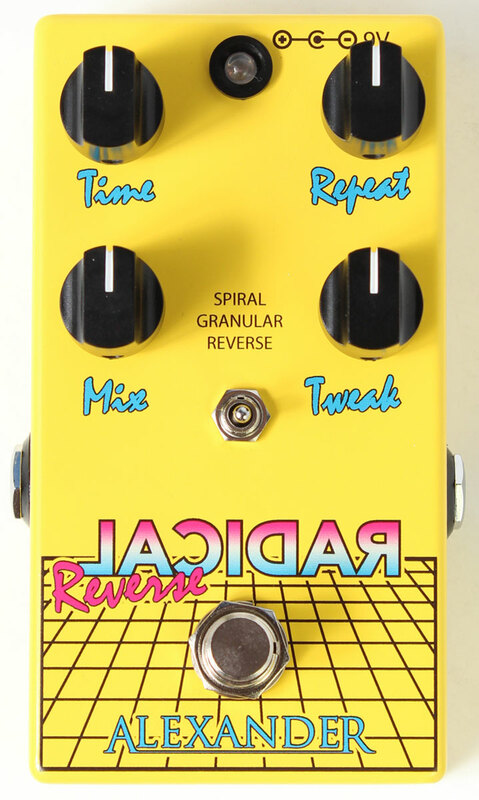 Why did you discontinue (insert name of pedal here?) We like to keep things fresh by shaking up the product lineup from time to time. Many of our discontinued products were limited releases, so once they're gone that's it! Yes, but what about the Super Radical and Oblivion? Those were only available for a short time and now they're gone! That's very true. We designed the Super Series pedals using a special hi-fi volume control chip that is now very expensive. 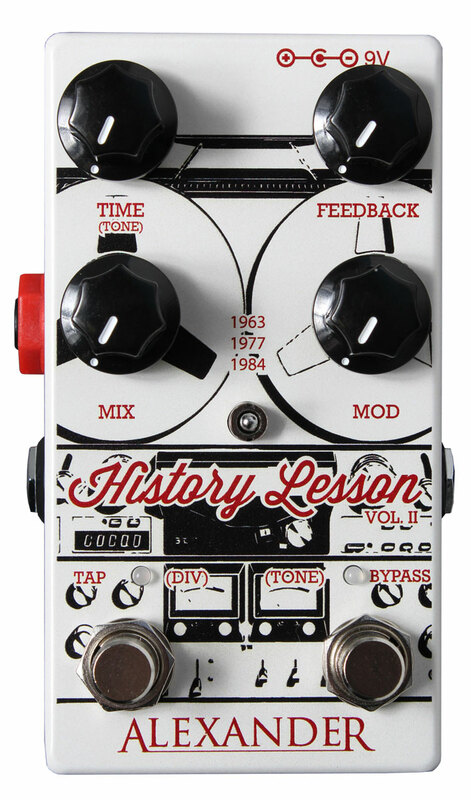 It's the single most expensive part in the entire pedal, and due to price increases on that chip it became impractical to keep making those pedals. We still fully support the existing Super Series pedals and we are happy to repair them if anything ever goes wrong. We've got your back. Are you coming out with a (insert name of pedal here?) Maybe. Maybe not. We can't comment on future product releases until they are ready to go. Follow us on social media or sign up for our mailing list to be notified of anything new. Are you going to come out with a NEO version of (insert pedal here?) We plan to keep adding to the Neo Series lineup, since they're awesome. We may eventually convert some of the older discontinued pedals to the Neo Series - if you want to see a particular unit get Neo-fied please contact us! Will you make me a clone of (insert pedal name here?) No. We don't clone or copy existing designs. We might build something that works in a similar manner to an existing product (the Amnesia is a great example) but you can rest assured that all of our hardware and DSP designs are 100% original. We don't make Tube Screamers, because Ibanez already makes several great ones. Do you offer endorsements or other discounts? We aren't in the business of paying players to use our gear, so if you see an Alexander Pedals unit on your favorite player's board then they really do like it! If you're a touring or session player we'd be happy to talk to you about a partnership, please use the contact form to email us. We'd love to receive a vinyl copy of your latest album(s) and some promotional material, by the way. What is your warranty policy? We warrant our products for one year starting from the date of purchase. This warranty is fully transferrable and follows the pedal, not the owner. The warranty covers defects in workmanship or materials, and does not cover misuse (intentional or otherwise) or other damage, acts of God, etc. Alexander Pedals will provide return shipping for warranty repairs at no charge, shipments to Alexander Pedals are the responsibility of the customer. What is your return policy? We will accept returns within 7 days of customer receipt, for pedals purchased directly from this website. Pedals must be in like-new condition with no chips, scratches, or hook-and-loop fastener or residue. A restocking fee of 20% applies to all returns. Apparel is not returnable. Pedals purchased from our dealers are not eligible for returns through Alexander Pedals, please contact your dealer to arrange a return. What is your international shipping policy? We ship all over the world via a variety of carriers including USPS and DHL. We will not declare packages at a lower value, and all customs and duties are the responsibility of the importer / customer. Please check with your local Customs or tax agency to determine what taxes and fees you will have to pay. Are you a not-for-profit? What charities do you support? We are a for-profit company, registered as an LLC in the state of North Carolina. We donate a portion of the profits from each pedal we sell to childhood cancer research charities. We also contribute gear to charity auctions such as Circuits to Cure Cancer. Do you have a question? Comment? Concern? Please let us know by contacting us here.